The Finger Monkey is the cute name given to the Pygmy Marmoset, the world’s smallest species of monkey. This name was given to them because their tiny size enables them to grip and hold themselves against a human finger. This act is alarmingly cute to any animal lover! Finger Monkeys have been gaining popularity as a pet among certain groups of people due to their endearing appearance and behavior. However, as a primate, they are by no means a “normal” pet. In this article, we will be exploring everything to do with the Finger Monkey past their superficial appearance. 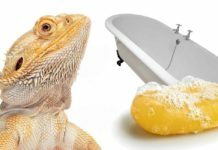 After all, as with any exotic pet, there are many important questions to be answered about the viability and the morality of keeping such an animal within the home. We seek to answer these questions and more, so keep reading! Where Does The Finger Monkey Come From? The Finger Monkey originates within South America, specifically within the rainforests of the Western Amazon basin. They can be found today within the countries of Brazil, Ecuador, Colombia, Peru, and Bolivia. They are considered to be a member of the New World Monkeys. These are primates that evolved and live within Central America, South America, and Mexico. Genetically, they are placed within the family Callitrichidae, where they join other New World Monkeys such as marmosets and tamarins. There is a line of toys based upon Finger Monkeys, called Fingerlings. Finger Monkeys don’t have opposable thumbs like some other primates. This animal can rotate its head a full 180 degrees, much like an owl! Can I Buy a Finger Monkey? 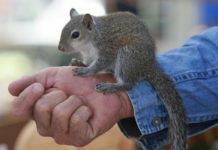 As with any exotic pet, it is very important that you consider the legality of owning such an animal before making any rash decisions. However, there is no quick or easy answer to this question; it all depends on where you live! If you live within the United States, you will have to check with the laws of the state you reside in. Some states allow primates as pets, whilst others do not. These laws are constantly evolving and changing, so be sure to keep an eye on them. It is the same situation within Canada; some provinces ban primates as pets whilst others do not. In some areas, you may need to apply for and carry a permit to own a Finger Monkey. In the UK it is legal to own primates as pets. However, certain groups have started campaigns to make it illegal. We would heavily recommend doing your research on the laws surrounding owning primates as pets before coming to any decisions. What Do Finger Monkeys Look Like? Finger Monkeys are tiny marmosets, with an adult usually only hitting heights of 4-6 inches and weighing just over 100 grams. This small size and weight are what allows them to hang from a human finger so comfortably. As for their most noticeable physical traits, they have a tail that is actually longer than the body itself. They use this tail as an extra appendage while climbing, coiling it around branches for extra support. They also have sharp fingernails that could be likened to claws, unlike some other primates whose fingernails are usually quite flat. The sharp claw-like nails allow them to better scale trees and grab food. Finally, their coat is a mixture of colors: black, grey, and tan on their head and back, and orange and yellow on the undercoat. Some Finger Monkeys may have white fur around the face, head, and hands. Finger Monkeys can develop serious health conditions while in captivity as pets. If you do decide to own one, acquaint yourself with the potential health problems your Finger Monkey may run into. This way, you may be better able to spot potential problems and treat them quickly. First, note that many viruses and infections that affect us humans can be transmitted to Finger Monkeys, causing them to get sick. These can include measles, Salmonella, and Diplococcus bacterium. However, the most devastating of the viruses and bacteria we can easily pass on to Finger Monkeys is the herpes simplex virus 1. This virus commonly just leads to annoying cold sores within humans, but in Finger Monkeys it’s an infection that can prove to be quickly fatal. More than 80% of all humans are carriers of this infection. Therefore it is vital that you do not kiss your Finger Monkey or allow it to kiss anyone else. Do not let your pet touch anything that has been in your mouth, either! We would also recommend avoiding all contact with your Finger Monkey if you find that you are ill.
Another serious condition that can develop within pet Finger Monkeys is wasting syndrome. This condition is caused by a parasite that is transmitted from the household cockroach. Symptoms include diarrhea, hair and weight loss, and paralysis of the hind limbs. To avoid wasting syndrome, household sanitation is key to prevent any infestations of parasite-carrying cockroaches. Finally, another notable disease that can occur within captivity is Lymphocytic Choriomeningitis. This disease is transmitted from the common house mouse and causes shortness of breath, lethargy, jaundice, and a loss of appetite. Again, exemplary house sanitation is the best form of protection against this condition. While these are the common major health conditions that may occur within captive Finger Monkeys, there are countless other illnesses they may contract. Always keep an eye on their health and behavior. Finger Monkeys’ tails can be a good early sign that something is wrong. A sick monkey will hold her tail limp in most cases, a significant change from the usual expressiveness. If your Finger Monkey seems to be ill, seek help from a vet as soon as you can. As for lifespan, a captive Finger Monkey can be expected to live up to 18 years. This is a very long commitment, especially with a primate that will require a lot of daily care. Be sure to consider this. Finger Monkeys are known to be gummivores within the wild. They eat tree sap, which they get by using their specialized teeth to gnaw at bark and vines. Along with the sap from these plants, Finger Monkeys have been observed supplementing their diet with fruit, nectar, and insects such as butterflies. Of course, tree sap that Finger Monkeys enjoy is kind of hard to come by outside of South America! So captive Finger Monkeys are usually fed a different diet that still aims to fulfill all their nutritional needs. This captive diet usually entails a mixture of insects such as crickets and mealworms, fruits and vegetables, and hard-boiled eggs. However, if you own a Finger Monkey we would recommend consulting with your veterinarian to create a diet plan that ensures they are receiving all their nutritional needs. This diet plan will need to be flexible enough to evolve as the Finger Monkey ages and other factors come into play. Baby Finger Monkeys require a well-balanced diet to develop correctly, so diet is especially important during their growing period. They will also need to be fed very frequently – every two hours is ideal. As they become adults they can be fed more infrequently. Do Finger Monkeys Live in Cages? Pet Finger Monkeys should be kept within a cage to ensure that it does not escape or get injured around the house. They are small and prone to injury within the home. They can also get into a lot of mischief unsupervised. However, it is important to choose a large, multi-level cage. Finger Monkeys need space to climb and move around to be happy. These pets will quickly become bored with a single-level small cage. Ropes and other climbable surfaces can give them a lot of fun options for moving around within the cage. Be sure to have plenty. Keeping them entertained with regular new toys can be a good way of giving this intelligent primate some mental stimulation. Ensure that water and food are easily accessible within the cage at all times. Can Finger Monkeys Live Together? Finger Monkeys are very sociable animals who usually live within groups known as troops. Within the wild, these troops commonly contain around 6 members. They communicate with one another via chattering and high-pitched trills, some of which are at such a high frequency the human ear is unable to detect them. They groom each other’s coats to help keep them free of dirt and parasites. These monkeys are also quite expressive, showing emotions such as happiness, fear, and surprise on their face just like we humans do! As you can see, this is not an animal to be kept alone. Finger Monkeys are meant to live together in troops and love to socialize with each other. Therefore, we recommend that you least own at least two. Human interaction alone simply isn’t going to be enough for a solitary Finger Monkey. However, it’s important to note that Finger Monkeys do not come cheap by any means. They commonly sell for $1500 – $4000 for a single one. Buy two, and you’re suddenly looking at a $3000 – $8000 investment. And that’s without the costs that will be incurred looking after them with food, cages, toys, and vet visits. Be sure you consider the financial implications of owning this animal. Is a Finger Monkey a Good Pet? Sadly, we cannot recommend this pet for a few big reasons. Firstly, raising a primate is nothing like raising a cat or a dog. These animals aren’t domesticated in any way. They are wild animals, who are used to having the entire jungle to roam. Although you could give them a very large cage with constant toys and attention, you won’t be able to replicate the wild they are used to. They are highly intelligent creatures who can quickly become bored and stressed out. The average human household just isn’t the best place for such an exotic animal. Secondly, this is an animal that can live up to 18 years within captivity. During all of that time, you must be able to provide the constant high amounts of care necessary to keep them healthy. You must also fulfill all the monetary responsibilities that come with that. This is not an animal that can be left alone for long periods of time. This primate will be completely dependent on you. Are you sure you will be able to fulfill this major responsibility for 18 years, on top of your job and family? Lastly, many Finger Monkeys that are sold via the exotic pet trade are taken away from their parents at a much too young age and are treated poorly. Supporting such practices is unethical. It also leads to further psychological and physical harm to these monkeys. 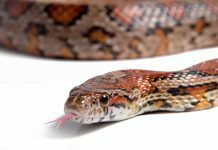 Therefore, if you are looking at owning this animal as a pet, we would ask that you heavily consider these points before making any decisions. Monkeys are wonderful, cute creatures. But we think that they should never be kept as pets. What is your opinion on Finger Monkeys? Do you believe they should be kept as pets, or not? Soini, P. (1982). Ecology and Population Dynamics of the Pygmy Marmoset, Cebulla pygmaea Folia Primatologica, 39(1-2). Bester, R. D.T. (2014). Ask The Vet | How To Tell If Your Marmoset Monkey Is Sick. Macau Daily Times. Hunt, R. D. et al (1978). Spontaneous infectious diseases of marmosets. Primates in Medicine, 10. San Diego Zoo Animals & Plants, Pygmy Marmoset. Genoud, M. et al (1997). Rate of metabolism in the smallest simian primate, the pygmy marmoset (Cebuella pygmaea) American Journal of Primatology, 41(3). 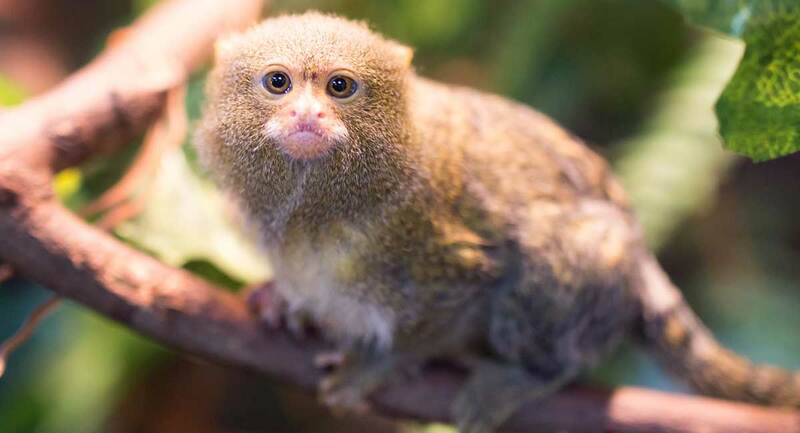 Royal Society for the Prevention of Cruelty to Animals, Marmosets. Next articleHolland Lop – Is This Little Lop Eared Bunny Your Perfect Pet?